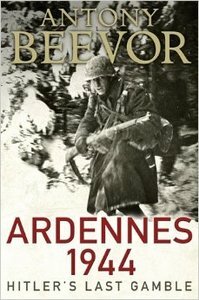 From the bestselling author of Stalingrad, Berlin and D-Day, Antony Beevor’s Ardennes 1944: Hitler’s Last Gamble tells the story of the German’s ill-fated final stand. Antony Beevor is the renowned author of Stalingrad, which won the Samuel Johnson Prize, the Wolfson Prize for History and the Hawthornden Prize for Literature, and Berlin, which received the first Longman-History Today Trustees’ Award. His books have appeared in thirty foreign editions and sold over six million copies.